A lot can happen between now and 2034. If you were to listen to a consensus from experts, you’d hear Social Security could run out of money in about 15 years. 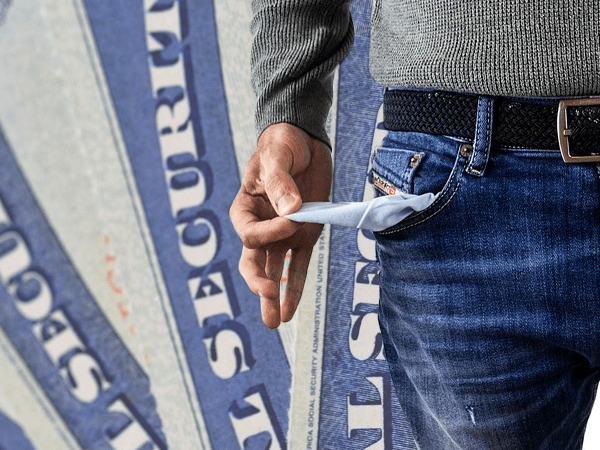 As most retirees and soon-to-retirees already know, Social Security is slated to run out of money in 2034 and, unless changes are made between now and then, beneficiaries beginning in that year will receive only 79% of what they otherwise would be owed. To be sure, predicting what will come out of Congress in the next few months is an inexact science at best, much less the next 15 years. The article features an interview with one (of many) experts on Social Security, Andy Landis, who worked at the Social Security Administration (SSA). In 1983, changes were enacted that, according to Landis, bring a certain perspective to expert predictions about Social Security. He mentioned that those changes brought about the surplus that would postpone the SSA running out of money until the predicted 2034. So there “should be nothing surprising” about the idea that Social Security could run out of money at some point, Landis opined. In 15 years, it’s the changes that may be required to keep the system going that could add even more uncertainty to the equation. The Senior Citizens League (SCL) recently offered early estimates for Social Security’s Cost of Living Adjustment (COLA) in 2020. At CNBC, Mary Johnson from the SCL said, “At the rate we’re going, there might not be a cost-of-living adjustment for 2020 at all.” The organization is noted for the accuracy of its COLA predictions, but on much shorter timelines. Energy and food prices, along with other factors (like real inflation), could be playing a role in the COLA “loss” that Johnson is concerned with. But one problem that is left unsolved by these expert predictions is the fact that Social Security makes up 66% of retirees’ incomes, according to Transamerica. With that being the case, any uncertainty can be worrisome. Whether Social Security runs out of money in 2034 or not, one thing is certain: Social Security’s future is uncertain. The experts each have their idea of what may happen, but there isn’t a way to conclusively prove if any of it will come to pass. What you can do in the meantime is consider adding protection from instability to your retirement portfolio through diversification into a variety of asset classes. Precious metals such as gold and silver fit well in a comprehensive retirement plan. Whatever you decide to do, don’t wait for the experts to outline your future. Take back control, and prepare your portfolio for the worst.